Here it comes, time for another Bonnaroo update! The countdown is rapidly coming to an end. With less than 30 days till the illustrious festival, many of this years “fine details” are coming into place. Since the last Bonnaroo update, many things have happened. One of the biggest announcements as of now comes with the release of the Bonnaroo Comedy lineup. 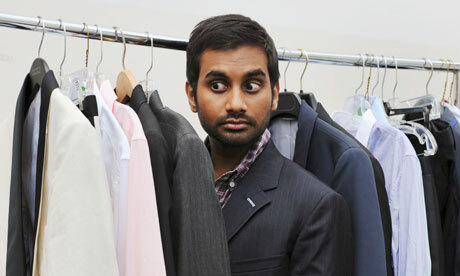 Headlining the comedy portion of the festival is the hilarious standup comedian and actor, Aziz Ansari. This will be one of Ansari’s 2012 tour, the Buried Alive Tour. (I personally can’t wait!) Along with Ansari, the other comedians this year include fan favorites Stephan Wright, Marc Maron, Brian Posehn, and World Champion Judah Friedlander. Not to shabby of a lineup if I do say so myself. Stepping away from the comedy portion of the festival we will touch on band announcments! 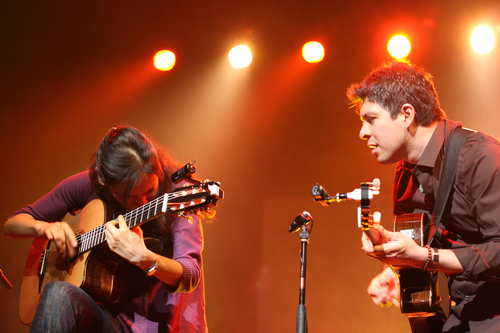 Some bands that have been relased released recently are Latin sensation Rodrigo y Gabriela and C.U.B.A. The Mexican duo, specialize in playing fast, rhythmic acoustic guitars. It was a surprise to many that the duo signed onto the lineup, mainly because they have not played the festival since 2009. Another huge artist that has been added to the bill is the heavy metal legend Danzig. This marks the first time in over five years that the group has played. What makes the situation even better is that the band’s set will be featuring songs from both the Danzig solo catalog and from The Misfits! If that wasn’t good enough for you, country legend Kenny Rogers has also been announced, and will be headlining the Café Stage. The country superstar was added only a week ago and many people are thrilled to hear about this addition. The Café Stage this year features over thirty bands playing on a smaller, side stage, topped off with Rogers. The Bonnaroo lineup has about fifteen spots open for a few more bands. So now with less than 30 days left, the final adjustments and screws are being tightened, and fan’s excitement could not be any higher. magnificent publish, very informative. I’m wondering why the other experts of this sector do not realize this.